As long as Yahoo provides this service, weather conditions and forecasts can be retrieved through their Yahoo Weather API. Once you know how this works, it’s actually pretty simple, but isn’t that with most things? As you can see on this Yahoo Weather Developer Network page, a SQL like query can be used to retrieve weather information. SELECT woeid FROM geo.places(1) WHERE text="nome, ak"
The returned answer, “woeid”, will then be used in the main query to retrieve the weather forecast, where the location ID (woeid) that came from our subquery, matches the location ID (woeid) of the weather.forecast table. Weather Forecast: JSON or XML? We also see that information can be retrieved as JSON data or as XML data. I choose JSON in my unit, since JSON works smooth and has little overhead. XML has caused me enough headaches in the past, so I’m trying to avoid that one. Followed by the SQL query that we just looked at, however it’s written in HTML save character codes (called URL Encoding, or Percent-encoding, ie. a space becomes %20, which is hex 20, which is decimal 32, which is the ASCII code for a space). So this is where we can pass the text to determine location. The space just before “ak” is actually not even needed, and upper or lowercase doesn’t matter either. If your location however has spaces or special characters in it, then you’d need to URL encode these, so in my unit I added a function to that automatically. Note though that sometimes you’ll need to provide more information when it comes to passing the location. For example, when looking for “Osceola, WI”. If I’d provide “osceola,usa”, then you’d get into trouble, since there are multiple towns called Osceola in the USA. The query would only return the first Osceola it found, which happens to be “osecola,fl” – in Florida. So don’t forget to add the state where application: “osceola,wi,usa” (“usa” would not even be needed since it’s in the US). For cities in different countries, just the city name and country name, is often sufficient. With some testing I discovered that you might be able to get away with writing the country name in it’s native notation, so in the previous example: “breda,nederland”. Which works as well. This part is followed by defining the output format (JSON!). So now we know how to build the query. I’m just explaining it here, so you can read through my code and understand better, which is what. Like I said before, I made a little Pascal unit which handles this just nicely – keep in mind that there is always room for improvement. To get a readable result, I decided to have the main function return a record holding all the data. The JSON data will automatically be taken apart and stored in this record (TYahooForecast). Since Yahoo includes the forecast for 10 days, I create another record format which can hold the specifics for one day (see the forcast in the TYahooForecast below). You can add special characters and spaces in the location name, URL Encoding will be handled automatically. The first thing to check in this example is if everything went OK. You can read that in the “success” field of the record. As you can see, it’s easy to access the results. This is the code for the unit I created. Note that it uses Synapse, which can be dowloaded for free. You do not need to install it – in fact, on my Mac it will not even install. Simply unzip the downloaded file and copy all the files from “/source/lib” into your project directory. Since the HTTPS protocol is being used, some sorts of SSL support needs to be available. Now under MacOS X and Linux, OpenSSL is readily available and used by Synapse. Since I developed this on a Mac, I had not noticed that this could be an issue for Windows users – Thanks to Joseph Kaminchick for catching this! So for Windows I have included precompiled OpenSSL tools in the ZIP (libeay32.dll, openssl.exe en ssleay32.dll). Keep in mind that the included library assumes you’re compiling a 32 bit application and have not been tested with 64 bit applications. Yahoo Weather also returns a code for each forecast and the current conditions. This code is used to verbalize the conditions. Here is a list of what these codes mean, which can be practical if you’d like to translate the condition text. Obviously, for English speaking users, this list is not relevant since Yahoo already returns a similar text in the “text” (for each day) and “current_text” (for today) fields. With a simple procedure you can convert the code to text, assuming you defined a variable or constant array like the one above. Codes > 48 will result in a “not available”. There are 9 comments. You can read them below. Very impressive. 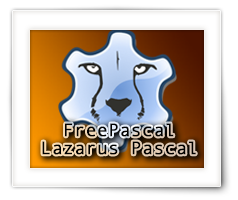 However, I have downloaded the sample project, compiled and ran it with the latest version of Lazarus both under Linux and windows 7 and it does not work. In Linux no run time error is shown. In windows 7 I am getting a “Heap Error” (I can mail you a screenshot). I’m at work right now, but I’ll try the sample project again with the latest Lazarus on both Windows and Linux. Just tried it with Lazarus 1.6.2 under Windows (I wrote the unit under MacOS) and can reproduce the error. I’ll do my best to find a fix! Seems that OpenSSL does not standard come with Windows (unlike Mac/Linux it seems). After downloading a precompiled set of OpenSSL dll’s (link), the program works. I used this specific version and copied the 3 dll files into my project folder. You’d need to distribute those with your application, when developing for Windows. Note: Even though I tested this with Windows 10 64 bit, my Lazarus is the 32 bit version, so the selected dll is 32 bit as well. I have not tested this with the 64bit version of Lazarus or the dll’s. I’ll update the zip file to include these 3 DLL’s. Thanks for catching this! The DLL’s are only for Windows users and included in the ZIP file. It is recommended to try to use the most recent version which you can find here. The files libeay32.dll, openssl.exe and ssleay32.dll should be distributed with your application. in a terminal would work. There is no warning about the missing ssl development package when running the program, however nothing will be displayed and the HTTPSender.ResultCode (in the GetYahooWeatherData function in unit YahooWeather) will be 500. The program works with the latest version of Ararat Synapse (40.1) obtained by downloading the snapshot at https://sourceforge.net/p/synalist/code/HEAD/tree/trunk/. Thanks for the tip! I’m not usually working on a Linux PC, and I believe you’re right about having to install libssl. Windows users may need something like this as well. Thanks again for the very useful tip!